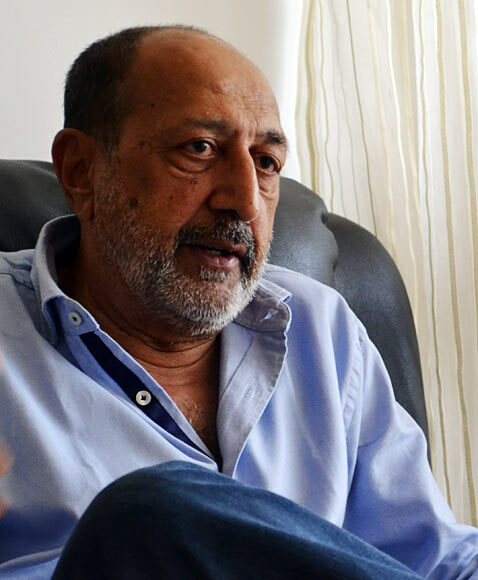 Actor-director Tinnu Anand, who once assisted the Great Master Satyajit Ray, speaks fondly of his mentor, and lists his favourite Ray films. 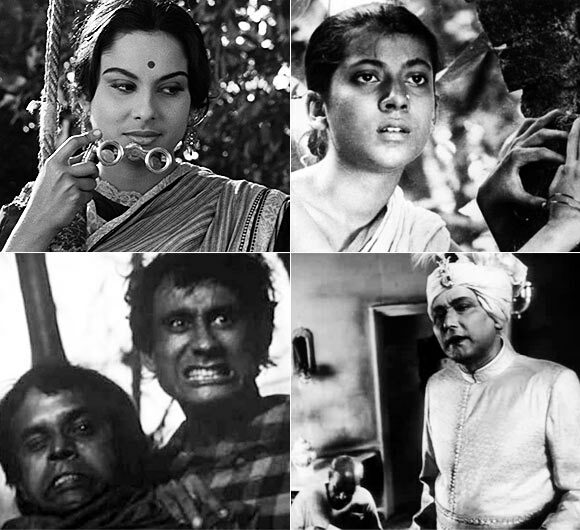 Continuing our series celebrating 100 years of Indian cinema. 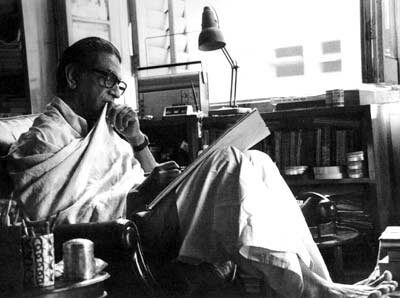 I wanted to be a director so my father (script writer Inder Raj Anand) wrote a letter to Satyajit Ray requesting him to allow me to assist him on his films. In the meanwhile, I had signed K A Abbassaab's Saat Hindustani so that if I didn't get any offer to assist, I would at least act. I was doing Saat Hindustani for fun. I knew I could never become a good actor. I asked Abbassaab to let me go as I was leaving for Kolkata to assist Mr Ray. Abbassaab readily agreed. He knew I wanted to become a director. (PS: Tinnu Anand's role went to a newcomer called Amitabh Bachchan). When I arrived in Kolkata, I called up Mr Ray from Howrah station and told him I had landed. He told me to come and meet him anyway. I was very disappointed, heart-broken as I had missed out on Saat Hindustani and here, I was being rejected by Mr Ray. I was to meet Mr Ray at 8 am. I reached his place at 7:30. I remember waiting on the steps for the clock to strike 8, then I walked up and knocked at the door. It was opened by Mr Ray. I don't think anyone can touch you deeper than Mr Ray. He was a very tall man at 6 feet 4 inches, with a booming voice. A tremendous personality. Here I am, face to face with this man and he asks me to enter the house, asked me to sit, shouts out to the kitchen, 'Tinnu has come, get him tea' in Bengali. Mr Ray typed for 40 minutes. He then stapled eight pages that he had typed and gave them to me. I looked up at him in awe. 'But you want me to go back,' I said. 'Now that you are here I don't want you to go back disappointed. You look very disappointed, so hang on with my unit and read these eight pages of Goopy Gyne Bagha Byne and from tomorrow morning you are on." That was fantastic and those eight pages are still with me. It is incredible that a director of that stature can do something like this for an assistant who he doesn't know will hang on till next day or not. The way assistants are treated here in Mumbai, I wish everyone was treated the way Mr Ray treated me. I was with him for five years. I did five films, Goopy Gyne Bagha Byne, Aranyer Din Ratri, Pratidwandi, Ashani Sanket, Seemabaddha and the documentary Sikkim. I started with the fantasy film, Goopy Gyne Bagha Byne. It was a film to be seen to be believed. It was made in 1968. It was partly coloured and was made with huge sets, created in a Kolkata studio. We shot in Jodhpur, Jaisalmer and so many other places in Rajasthan on a budget of Rs 5 lakh. The film is about Goopy, who cannot sing but loves to sing and Bagha who plays the drum but who doesn't know how to play the drums. They meet the king of the ghosts in the forest when Bagha is playing his drums and Goopy is singing. The ghost is so fed up with them that he grants them three wishes and the film starts from there. It was a remarkable film; in fact I wanted to remake it in Hindi, with Rishi and Randhir Kapoor in the lead. I showed them the film. They loved it, but somehow we couldn't make it because finance was difficult for a film like this in Mumbai. Also, when I said I am making a remake of a Ray film, people would run away. In fact because I was an assistant with Mr Ray, I had a difficult time here. People would run away from me little realising that I went to Mr Ray because he was a university but that doesn't mean when I pass out from that university, I want to become the principal of that university. It just meant picking up the finer points of filmmaking which I learnt under Mr Ray. Mr Ray was not a closed book. Everybody knew about him. But he was a very closed director. He would do his work before he went on the sets so there was no chance of taking in any suggestions because he had already worked on it. Mr Ray was a master of the art of direction. He wrote his own screenplay, he composed his own music, he edited his own film, he handled the camera himself, he went to the bazaar to buy costumes for his cast. He would do everything himself. He was a great art director, and a wonderful actor. If he read out a scene the actors would perform just 40 to 50 per cent of what Mr Ray was asking them to do. He was remarkable. When I was assisting Mr Ray, all the actors would sit in front of him and not in their make-up rooms, even if they did not have any role. He would call out to them if the actor was required or else all actors just sat there watching him direct. If you can call any director an all-rounder, it was Mr Ray. The assistant directors did not have much to do. I became very close to him because Goopy Gyne Bagha Byne was shot in Rajasthan and luckily for me, I belong to Rajasthan because I studied in Mayo College (in Ajmer). All the princes of Rajasthan were friends of mine as they had studied with me, so Rajasthan opened up for us and Mr Ray made me his right hand man. 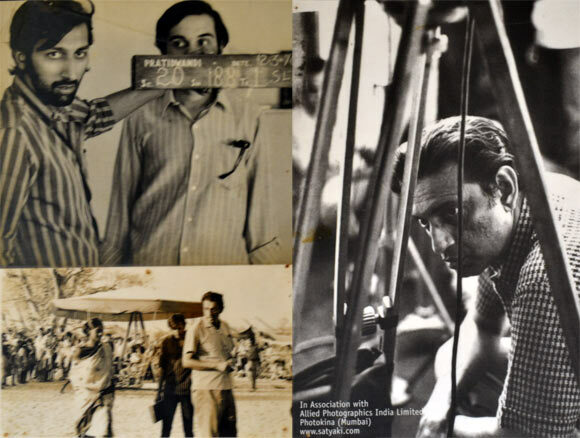 He would give his instructions to me in English which I would translate into Hindi and give instructions to the crew. In the very first schedule, I became an important member of Ray's team and that became a great advantage. When I was doing a documentary on Sikkim with Mr Ray, I was very lucky as the financier and producer of the film was the Chogyal of Sikkim. The Chogyal had invited Mr Ray to make the film and gave him total freedom. The amount we travelled was amazing. I don't think Danny (Denzongpa), who is born in Sikkim, has seen the place that I have seen. All his films were great. My all-time favourite is Charulata. I find it to be a complete film. The performances, the art of story telling, the camera work -- everything fits like a glove. Ray is like the conductor of an orchestra. Filmmaking is like an orchestra and he is like the conductor and he made a classic. I saw this film when I was in college and was mesmerised by it. thought cinema was only dance and song and nothing like this existed. I was spellbound, even though I didn't know the language. I wanted to see it again immediately. It created that kind of impact on me. In an age where only song and dance and tearjerkers were made, here was a film that carried you into a world that was totally realistic. Something you had never seen. I had never seen a village. I've never been exposed to village culture. And here was somebody who had transported me from a city to a village and given me an experience of a lifetime. Jalsaghar brings back memories of some great music. Bade Ghulam Ali Khan has sung in the film. The performances are great. This is my favourite because it was my first film as Mr Ray's assistant director. It was a fantasy with super hit songs. Ray had never made films with songs and here he had made a film with 10 super hit songs. I liked working in all the movies that I assisted him in, but Goopy Gyne Bagha Byne remains my favourite among them.